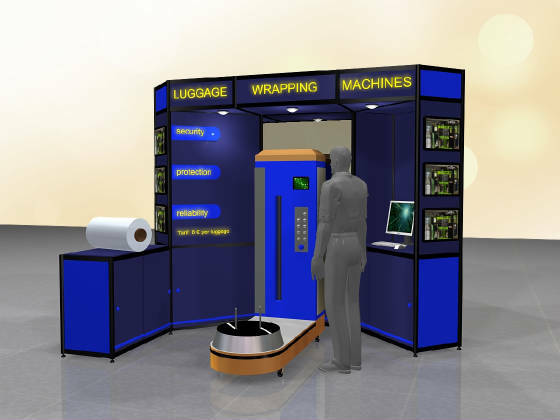 We are selling airport baggage luggage wrapping equipment - the model BW-400 is the most advanced model for starting this business. Just contact us to receive our price quotation plus delivery option. 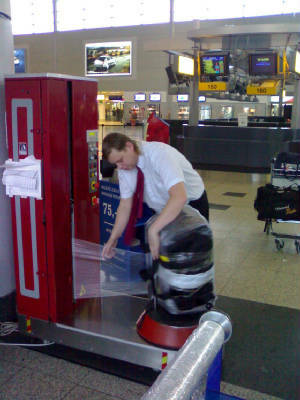 By wrapping the luggage with a special plastic folio passengers can protect their personal belongings from theft, pilferage, damage and thus to avoid most problems with the baggage during the transportation. Than take on board the aircraft and enjoy the flight! 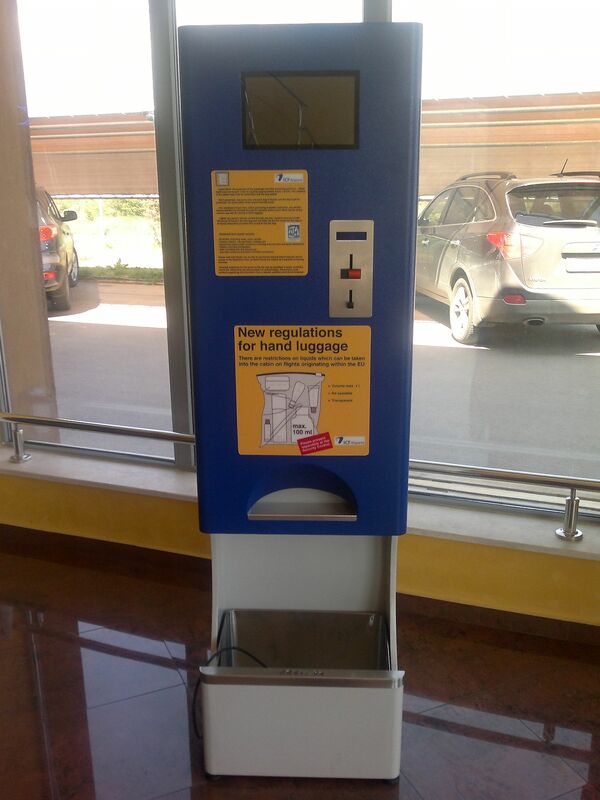 We are serving the world airports! You will find out how comfortable is this service when you are traveling worldwide and also how to use it. 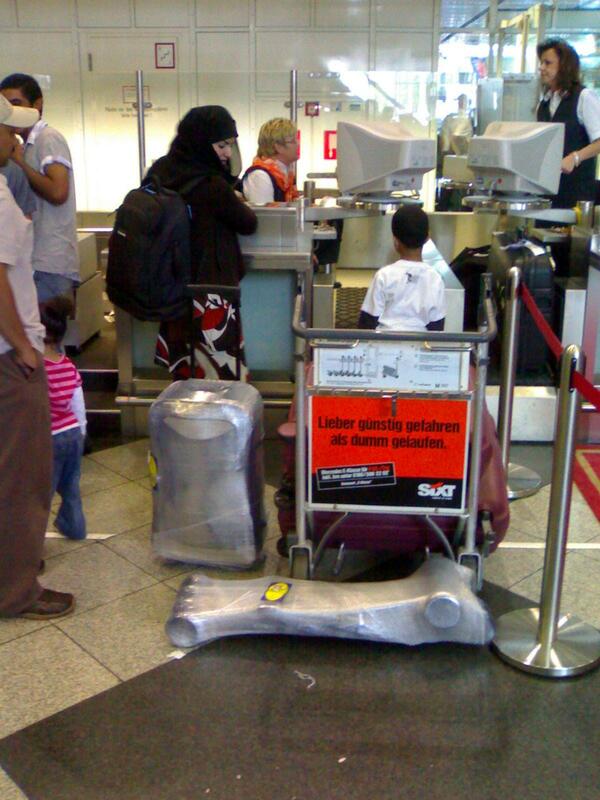 BAGGAGE WRAPPING becomes the fastest growing business at almost every international airport around the world. 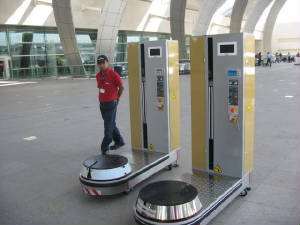 It is directed to the frequent passengers, but also is attractive for everyone who wants to protect its luggage from potential incidents. Our company offers also the necessary equipment to start this business by your company as well as free technical assistance by our skilled specialists. 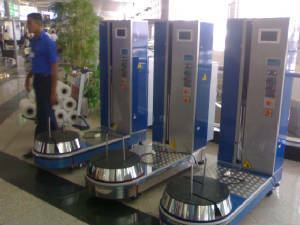 We are suppliers and producers of variable range of baggage wrapping machines and accessories (rotary stretch-folio or heat-shrink pouches), suitable for operation at any airport environment. Up to now by applying the baggage wrapping business at Sofia International Airport we have attracted more than 20,000 passengers for 2001 becoming our potential clients. We are satisfied to hear the passenger's confidence for this new service. Company SATEL-95 / AIRVISION - Ltd.
1000 Sofia, 33 Parensov STR.